In the magazine "C", there is a contest for "Norway's hottest men", Morten is at number 8. 3	The video for "Analogue" is added to "The Box" and "The Hits" playlist. It has already been added to "The Amp" and has had some plays on "VH-1". 7	"Analogue (All I Want)" is at number 1 in the "CD:UK" (ITV) viewers "MiTracks" chart and the video is played at the end of the show. 12	Morten and Magne fly to England from Norway, while Paul flies in from New York. Paul is interviewed on British forces broadcasting (BFBS) Radio 2. 13	a-ha appear on the UK breakfast show "GMTV" (ITV) where they are interviewed by John Stapleton and Kate Garraway. Later in the show, during the "Entertainment Today" section, there is another short interview and they perform "Analogue (All I Want)". After the show, at 9:30am, Magne takes part in a video webchat. In the afternoon, a-ha are in the studio recording a variety of regional radio interviews. The UK TV show "Pop Years: 1985" (SKY1) shows snippets of a-ha and "Take On Me". The UK show "Never Mind The Buzzcocks" featuring Magne (from 2005) is repeated on "TVG2". The UK music channel "The Box" broadcasts "The Changing Faces Of a-ha" which includes the videos for "Take On Me", "The Living Daylights", "The Sun Always Shines On TV" and "Analogue". The Norwegian TV channel "TV2" repeats the programme "Hele historien om... Lene Nystrøm", in which they mention her time with Morten. 14	a-ha perform "The Sun Always Shines On TV" (playback) and "Analogue (All I Want)" (live vocals) in the "CD:UK" studio, this is broadcast on 21 January. "Analogue" is still number 1 in the "CD:UK" "MiTracks" chart. 16	Morten and Magne visit Ken Bruce at the "Radio 2" to talk about the tracks from "Analogue". These snippets of interview are broadcast during the week of 23 January when "Analogue" is their "Album Of The Week". In the afternoon, a-ha go to the "Top of the Pops" studios in London to perform "Analogue (All I Want)" (with live vocals). This is broadcast the same evening on BBC2. 17	a-ha do various press and online interviews including the BBC, Channel 4, Daily Mirror, OK Magazine and the "Headlines & Deadlines" Fan Club. Morten is also interviewed by Matt Hopper at "Radio Wave 105.2 FM" and Magne is interviewed by Richard for the website "Remebertheeighties". 18	a-ha's backing band fly to England and rehearse with a-ha in a London studio for the forthcoming live sessions and gigs. Morten is interviewed by Andy Fenton on "Radio Lincs. FM 102.2". 19	The band visit the BBC Maida Vale Studios to set up and rehearse for the "Ken Bruce Session" for Radio 2. In the afternoon, they go to London TV Centre to record "Analogue (All I Want)" for the show "Des & Mel" (broadcast 20 January). In the dressing room, the band jam between rehearsals and Magne and Morten play a cover of Jeff Buckley's "Hallelujah". In the evening, the UK Celebrity Chef Aldo Zilli cooks a meal for the band and friends at his "Zilli Fish" restaurant in Soho. 20	In the morning, Ken Bruce hosts a session with a-ha on BBC "Radio 2". They perform "Take On Me", "Analogue", "The Sun Always Shines On TV", "Stay On These Roads", "Cosy Prisons" and "Keeper Of The Flame" live in the studio. They also answer questions sent in by listeners. All tracks are broadcast during the show except for "Keeper Of The Flame" which is available to listen to on the "Radio 2" website. a-ha's performance of "Analogue (All I Want)" (live vocals) is broadcast UK TV show "Des and Mel" (ITV). Although the Lindvall brothers are present, the band does not play live. In the afternoon, a-ha are interviewed on the Colin & Edith show on "Radio 1", during which they play an impromptu version of "Stay On These Roads". After the interview, a-ha return home. An interview with Magne is broadcast on the UK radio channel "Oneword" in the programme "The Gallery". 21	A pre-recorded interview between a-ha and Timpthy the water melon is broadcast on the UK's TV show "Popworld" (Channel 4), they also perform a short acoustic clip of "Take On Me". On "CD:UK" (ITV), a-ha's performance of "The Sun Always Shines On TV" and "Analogue (All I Want)" is broadcast. a-ha are still number one on their "MiTracks" chart. 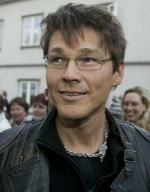 Back in Norway, Morten appears at the "Alarm Awards" at Sentrum Scene, Oslo. He presents the "best new artist" award to Mira Craig. Highlights from the show are broadcast during "Lydverket" (NRK1) on 25 January. 23	The single "Analogue (All I Want)" is released in the UK. In the morning, some interview clips were broadcast on the show "Morning Glory" (Channel 4) hosted by Dermot O'Leary. "Analogue" is "Album Of The Week" on the Ken Bruce Show on Radio 2, clips of a-ha talking about the album tracks are broadcast each day this week. Morten and Magne introduce today's track "Celice". The Norwegian TV show "Absolutt Underholdning" (TV2) reports on the "Alarmpris" and shows a clip of Morten giving the award to Mira Craig. The album "Analogue" is reviewed in the UK press including "Evening Standard", "Q" magazine, "Uncut", "The Sun", "Telegraph", "Heat", "Independent on Sunday", "Observer", "Sunday Times", ":Express"
24	"The Sun" newspaper publishes an interview with a-ha on their website using questions sent in by fans. Today's "Radio 2" album of the week track is "Birthright", introduced by Magne. 25 Today's "Radio 2" album of the week track is "Analogue", introduced by Morten. The mid-week chart position for the single "Analogue" is number 9. 25	The Norwegian TV show "Absolutt Underholdning" (TV2) reports about "Analogue" entering the UK chart at number 10 and shows the video for "Analogue" for the first time in Norway. The German music programme "Best of Formel Eins&quor; reports on the number 1 hits of 1983-1986. a-ha are included in the programme with "Take On Me". Oasis play a concert in Oslo, praise a-ha and dedicate their song "Rock'n Roll Star" to them. In an interview with newspaper "VG", Liam Gallagher confesses he was an a-ha fan years ago and that they are "f***ing amazing". 26	An interview with Morten is printed in the UK newspaper "The Mirror". 27	Today there are two "Radio 2" album of the week tracks tracks today as there wasn't one yesterday, these are "Cosy Prisons" introduced by Morten and "Keeper Of The Flame" introduced by Magne. 28	a-ha's interview with Kim Robson is broadcast on the local radio station "The Eagle" during a 1 hour special on the band. 29	An interview with Morten on the phone from Oslo is broadcast during the "hit40uk" chart on UK commercial radio chart (formerly Pepsi Chart and broadcast on over 120 local radio stations). The single enters both the "hit40uk" chart and the official chart at number 10. The album enters the official chart at number 24. The UK TV show "Top Of The Pops" re-broadcasts the performance of "Analogue" (at number 10). 30	a-ha perform 7 songs (Stay On These Roads, Take On Me, Cosy Prisons, The Sun Always Shines On TV, Keeper Of The Flame, Analogue and encore Hunting High And Low) and do signing session at HMV, Oxford Street, London. A report about this event is broadcast on the UK TV's "London Today" and "SKY news". The single "Analogue" is released in Norway. The Norwegian TV2 shows "Nyhetene" and "Absolutt Underholdning" report on the a-ha fans queuing up for the HMV signing in London. 31	Articles on the HMV event are published in the UK newspapers "The Independent", "Evening Standard", "EDP" and the Norwegian newspapers "Dagbladet" and "Aftenposten". As part of the "Who's calling Christian?" phone in, Morten calls the Christian O'Connell breakfast show on UK's "Virgin Radio". In the afternoon a-ha rehearse acoustic versions of the songs in a long soundcheck. Afterwards, Magne and Paul do press interviews while Morten rests his voice. In the evening, a-ha do an exclusive live 8-song acoustic session at The Old Shepherd pub, Keresley/Coventry in front of 200 people. This concert is part of the "Live at the Local" series of concerts for Radio Chiltern FM. Only the Lindvall brothers are on stage with the band for this performance. The setlist is Keeper Of The Flame, The Living Daylights, Cosy Prisons, Birthright, The Sun Always Shines On TV, Hunting High And Low, White Dwarf and Analogue. After the gig, Magne and Morten are interviewed by Ru and James (Paul is on the phone) for their Breakfast show on Mercia FM (broadcast 1 February). Part of the live show is broadcast on "Radio Mercia" during the day. The Norwegian TV show "Absolutt Underholdning" (TV2) reports on the HMV session in London. 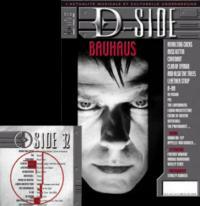 The French magazine "D-Side" features a four page report about a-ha and comes with a free CD which includes the live version of "Analogue" from Frogner Park. 1	ABC, Glasgow, Scotland. a-ha perform 9 acoustic songs (Keeper Of The Flame, The Living Daylights, Cosy Prisons, Birthright, The Sun Always Shines On TV, Hunting High And Low, White Dwarf, Analogue and encore Take On Me) for 300 competition winners. The show is recorded and all songs (excluding the encore) are broadcast with short interview clips on Scottish Emap Radio Network during the week. The UK radio station "Mercia FM" features an interview with a-ha in the "Ru and James do Breakfast" show. The German music programme "Best of Formel Eins" reports on all the number 1 hits of 1987-1990, a-ha are included. 2	a-ha hold a press conference in London and announce two summer concerts in Norway (Trondheim and Ålesund in August). a-ha play a gig at Shepherds Bush Empire, London, England in front of a crowd of 2,000 people. The set list is similar to the December UK tour, but two acoustic songs "Birthright" and "White Dwarf" are added to the set and "Weight Of The Wind" and "Living A Boy's Adventure Tale" are missing. 3	The TV programme "Hele historien om... Morten Harket" is repeated again on Norwegian TV2. 4	A short report of a-ha's appearance at HMV is broadcast on the news section of "CD:UK". 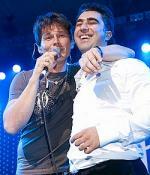 a-ha's gig in Glasgow is broadcast on Scotland's "WestFM" (5pm). 6	Morten is interviewed on the Norwegian TV show "Store Studio" (NRK1), this interview is broadcast later in the evening. 7	Scottish radio "MFR" broadcast the Glasgow gig (7.30pm). 9	Magne and Heidi go to the Ekeberg restaurant for the party of the Norwegian establishment of a "Rich-Men-Club" ("Riksmennsclub") called "Quintessentially". 10	Radio "CFM" in Scotland broadcast the Glasgow gig (7pm). On the Norwegian TV show "Idol", one of the contestents, Ørjan Hatlevik, sings a-ha's "Birthright" and wins the first round. 11	The Norwegian TV show "God Kveld Norge" reports about the richmansclub "Quintessentially" party at the Ekeberg restaurant. Scottish radio stations "Forth1" and "Northsound1" broadcast the Glasgow gig (3pm). 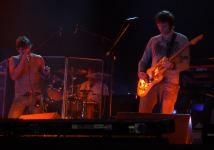 The majority of a-ha's concert in Basel on 16 November 2005 is broadcast on Swiss TV "SF2"
12	a-ha's Glasgow gig is broadcast on "Radio Borders" and "TayFM" in Scotland (at 2pm and 7pm respectively). 13	"Virgin Radio" starts an ebay auction to raise money for th Teenage Cancer Trust charity. 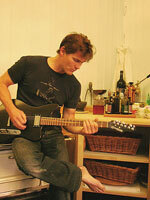 One of the items up for auction is an epiphone guitar signed by a-ha (it sells for £820 on 16 february). 16	The final event of the Norwegian "Bombay Sapphire Designer Glass Competition 2006" takes place at Blomqvist in Oslo. Design students from Norway participate by designing a Martini cocktail glass, inspired by Bombay Sapphire Glass. A jury consisting of glass artist Anne Haavind, interior designer and former TV host Nikki Butenschøn, manager of "Norway Says Preview" Ragnhild Bakkland Grytten, editor-in-chief of the magazine "Bonytt" Anne Kolberg, last year's winner Christian Brenden and artist Magne Furuholmen choose the winning glass work. The winner is Knut Karlsen from Oslo with his glass creation "Nymphaea". 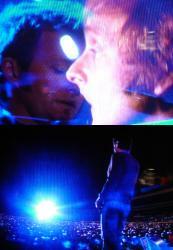 Magne spends three days in London working on the new remix of "Cosy Prisons" with Dave Bascombe. 17	An interview with Magne is printed in "Wiken", a magazine dedicated to Arts & Entertainment which is circulated on Fridays with the Chile newspaper "El Mercurio". 19	Magne and his family arrive in Chile for a holiday in San Pedro de Atacama (Northern Chile), before heading to the festival on 23 February. 22	In the morning, Morten arrives in Santiago, Chile where he is met by the media. Paul arrives later in the day. 23	a-ha do a press conference in Hotel O' Higgins in Viña del Mar. 24	a-ha take part in the Viña 2006 Festival, Viña del Mar, Chile (22-27 February). They play 13 songs (Celice, Move To Memphis, Stay On These Roads, Cosy Prisons, I've Been Losing You, Crying In The Rain, Hunting High And Low, Take On Me, Cry Wolf, with encores I Call Your Name, The Sun Always Shines On T.V., Analogue and The Living Daylights) and receive the "Antorcha Plata" and "Gaviota de Plata" awards. After the concert, there is another press conference. The "Brit Awards" are broadcast in Norway (TVNorge). 27	Morten has already arrived in Senegal, Magne and Paul are still on their way. Morten visits some of PLAN's projects in Thies (around 100 km outside Dakar): a water pumping system, a nursing ward and a micro finance system where villagers can borrow money. A journalist for the Norwegian newspaper "Dagbladet" is with Morten and documents his stay. This report is printed in the newspaper the following day. During their stay in Senegal, a-ha do an interview with UK's "Q" magazine (featured in a future issue). 28	The album "Analogue" is released in Brazil. Tickets for the Trondheim and Ålesund August concerts go on pre-sale through a-ha.com. They go on general sale on 1 March. 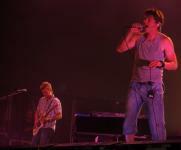 In the afternoon, a-ha and the other artists performing at after the football match in Dakar do soundchecks. 1	a-ha are one of the artists to perform at Football for Africa, Dakar, Senegal. This charity event, organised by Plan International in co-operation with Norwegian TV2 and the Norwegian Football association, takes place at the football stadium (capacity 50,000) after the football match between Norway and Senegal. The concert lasts for around 3 hours and features other international artists such as Lauryn Hill, Patti Smith, Youssou N'Dour, Angelique Kidjo and Alpha Blondy plus Norwegian artists Morten Abel and Mira Craig. Five hours of this event is broadcast live on Norwegian "TV2" (repeated 4 March). The TV coverage includes commercial breaks, interviews and clips about the organisation PLAN, so only 4 songs by a-ha are broadcast (Analogue, Stay On These Roads, Take On Me and The Sun Always Shines On TV). Morten is interviewed after the concert. Parts of the show are also broadcast in 20 African countries. 2	Throught the day, the Norwegian tv channel "TV2" reports on the Senegal concert in the news section. The broadcast the live version of "Analogue" and show an interview with Morten. The show "Absolutt Underholdning" (TV2) also reports about the concert, showing a clip of "Analogue" and a short interview with Magne and Paul. 3	A half an hour special on a-ha is broadcast on the Dutch tv channel "RTBF 1" (repeated 4 March). The Norwegian tv channel "TV2 Zebra" broadcasts a more of the concert in Dakar, Senegal on the show "Fotball for Afrika - konserten". In addition to the songs already broadcast, they also show "Keeper Of The Flame". 4	The video for "Cosy Prisons" is filmed at the Abbey Mills Pumping Station in London. The video is directed by Paul Gore. 5	The UK's "Channel 4" broadcasts a "Video Top 100". 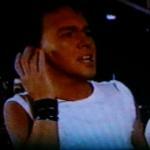 "Take On Me" is at number 3 and an interview with Steve Barron is shown. 24	The Norwegian TV show "Absolutt Underholdning" (TV2) looks back over 1985. It features the whole "Take On Me" video with information and a clip from an interview with Magne on the TV show "Diskuteket" (NRK) in 1985.
a-ha are rumoured to play a concert at Ledovyi Palace in St Petersburg. The Russian tour dates are adverised in Russia, but cancelled due to salary issues. 27	Kristian Valen's new show "Valen & de" starts on the Norwegian TV channel "TV Norge". A clip of Valen doing a parody of Morten, singing "Take On Me" in German, is shown on during the news which advertises the series (this sketch is shown during episode 4 on 10 April). 30	a-ha are invited to the premiere party for Harald Zwart's latest movie "Lange flate ballæ" at "Fredrikstad Kino" and "Hotell City" in Fredrikstad. Morten attends the premiere with his partner Inez, but Paul and Magne are not present. 31	Several Norwegian newspapers and the TV2-show "Absolutt Underholdning" report about the premiere in fredrikstad and include short quotes/clips by Morten. During March and April, the Norwegian artists Espen Lind, Kurt Nilsen, Alejandro Fuentes and Askil Holm go on tour in Norway under the name "Gitarkameratene". Their repertoire includes "Stay On These Roads". 1	DJ Craig Doyle interviews a-ha during his show "Saturday Sessions" on London's Capital Radio FM; they perform "Analogue", "Cosy Prisons" and "The Sun Always Shines On TV" live. After the session, a-ha go to a restaurant in Soho, London where the "Lifelines" album is playing. The Norwegian TV show "God kveld Norge" (TV2) reports on the premiere in Fredrikstad and shows Morten arriving at the cinema. The German TV channel "ZDF" broadcasts some of the best bits from "Wetten Dass" in the show "25 Jahre Wetten Dass", a-ha's performance of "Summer Moved On" (March 2000) is included. 3	 a-ha perform 3 acoustic songs ("The Sun Always Shines On TV", "Cosy Prisons" and "Analogue") in front of an audience of 100 people (including 60 competition winners from a-ha.com) for Tiscali (UK internet provider). It takes place at Cargo in London (11am - 1pm). After the soundcheck in the morning, a-ha do press interviews at the bar in Cargo and after the show, they are interviewed for the TV show "London Tonight". During the afternoon, a-ha go to KOKO nightclub in Camden, London for a soundchek. In the evening, they perform "Analogue", "Keeper Of The Flame" and "Cosy Prisons" (with full band) for the UK TV show "The Album Chart Show" (Channel 4). To round the day off, a-ha and crew have dinner at "Zilli's" in London. A clip of a-ha at the Tiscali sessions is broadcast on the lunchtime news (ITV). 4	a-ha are guests on BBC Breakfast news (BBC1). In the afternoon, Magne speaks to UK's "Radio 2" on his phone from a London airport. 5	The video for "Cosy Prisons" premieres in Norway on the TV2 show "Absolutt Underholdning". 7	The "The Album Chart Show" is broadcast on E4 and is repeated on Channel 4 on Saturday 8 and Sunday 9 April. The Norwegian TV show "Absolutt Underholdning" has a "retro-report" on the year 1987. a-ha are featured with "The Living Daylights" (they were not included on the 1986 show the week before). The Norwegian weekly magazine "Se og Hør" publishes the results of the reader's poll for the "Sexiest pop-babe in Norway". Morten is the number 1 male. 10	Episode 4 of the TV comedy show "Valen & De" (TVNorge) includes Kristian Valen's imitation of Morten being interviewed by a Norwegian news programme whilst on tour in Germany. He talks about why a-ha have now chosen German as their new language and sings part of "Take On Me" in German! 17	A remix of "Cosy Prisons" is released in the UK. 18	The compilation "Retro:Active 5 - Rare & Remixed" is released in the UK and features the extended mix of "I've Been Losing You". 22	a-ha are in Cologne, Germany to perform "Cosy Prisons" on the TV show "Let's Dance" (RTL). 23	The German TV channel "SWR3" broadcasts the AVO-sessions concert in Basel. "Cosy Prisons" enters the UK chart at number 39. Savoy work in the Loho studios in New York on their new album due in in the autumn. Frode and Jørun Bøgeberg join Lauren and Paul in New York city, they record the whole album in around two weeks. 5	Savoy set up their own "Myspace web site. 7	The acoustic session a-ha did in Conventry in January is broadcast on Radio Mercia FM. 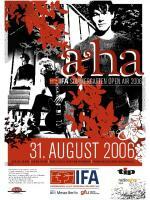 14	The German radio channel "HR3" broadcasts an hour long special about a-ha "Der andere a-ha-Effekt". A fan talks about the less commercial side of a-ha and they play "How Sweet It Was", "Kryptonite" (Magne F), "A Kind Of Christmas Card" (M. Harket), "East Timor" (M. Harket), "Velvet" (Savoy), "We'll Never Speak Again" (Timbersound) and "Cold As Stone". 18	Morten goes to Haugesund, Norway. 19	From Haugesund, Morten and Hydro staff take a boat to the island Utsira where they visit Hydro's hydrogen installation and look at plans for a wind farm on Karmøy. After lunch at the "Havstuene", Utsira, they return to Haugesund. This month's "Q" magazine features a 4 page article on a-ha in Senegal. The magazine also comes with a free CD which features "The Delays" doing a cover version of "The Sun Always Shines On TV". 7 a-ha were invited to perform at "Die große Fanparty" (a party celebrating the football World championship) at Brandenburger Tor in Berlin which is broadcast on German TV. The TV channel "ZDF" wanted a-ha to perform one song "Take On Me", so the band refuse the invitation. 12 The four Norwegian singers, Kurt Nilsen, Espen Lind, Askil Holm and Alejandro release a live album under the band name "Gitarkameratene". The album includes a cover version of a-ha's "Stay On These Roads"
24 Morten receives a new Tonfuchs signature model guitar. 5-9 The Quart Festival takes place in Norway. Although the organisers originally wanted a-ha to take part, they can't afford to pay a-ha's high fees. 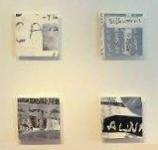 8 A joint exhibition opens at Gallery "Nicolines Hus" in Kragerø, Norway. Gallery owner, Eirin Schistad Sten, and galerist Thomas Wartiainen succeeded in getting Kjell Nupen, Nico Widerberg, Elisabeth Bjørnsen Werp and Magne Furuholmen to exhibit some of their work. Magne's contribution to the exhibition are his small, 10x10 cm "Building Ruins" pieces, which sell out in a few minutes at 1,000 NOK each, and a Payne's Gray jar, sold to a local for 50,000 NOK. 14 Magne, together with two other artists, take part in the BBC radio 6 music show "Steve Lamacq's round table". They discuss new songs and give them marks out of 10. 15 Guilfest, Stoke Park, Guildford, England. Radio 2 broadcasts four songs from the show live on the radio: "Manhattan Skyline", "Crying In The Rain", "Cosy Prisons" and "Scoundrel Days". 16 Summer Pops, King Arthur's Dock, Liverpool, England. In the afternoon, Paul, Lauren and Augie visit the Beatles museum in Liverpool. On Radio 2's "Janice Long show", they broadcast more songs from a-ha's gig at Guilfest, including two previously unbroadcast songs, "Hunting High and Low" and "Analogue" plus an interview with Morten, Magne and Paul. 19 Dock Rock, Royal Victoria Dock, London, England. 28 Magne attends the "Superman" premiere at the Colosseum cinema in Oslo. 1-6	Magne contributes a piece of art to the MTV 25th Anniversary Exhibition, taking place at Nash Room at ICA in London. The exhibition consists of giant, three-dimensional MTV logos customised by world-renowned names from music, fashion and art. Other contributors include REM's Michael Stipe, Pharrell Williams, Fatboy Slim, Hot Chip; fashion designers Julien MacDonald and Gareth Pugh; key street labels including Stussy, MHI and Bathing Ape; artist and designer Peter Saville and DJs Tim Westwood, Nihal Arthanayake and Howie B. The artists and designers were given a 3'x3' clear acrylic logo as a blank canvas for their work. Magne interwove messages about HIV/AIDS into his piece, entitled "Lottery Of Life", which is filled with lottery tickets and is intended to prompt thought on the random occurrences that determine our fates. The art pieces will be put on auction to benefit the Staying Alive Foundation. 11	The film "Øyenstikker", with Magne responsible for the soundtrack, is broadcast on Norwegian TV "NRK2". 16 The NRK-series "Norsk Rocks Historie" is repeated on NRK1 and this episode stars a-ha. 24 In the morning, a-ha fly from Oslo to Trondheim to prepare for the concerts. 25	Rosenborg's Stadium, Lerkendal, Trondheim, Norway. The setlist has been changed for the Norwegian shows (I've been losing you, Stay on these roads, Celice, Weight of the wind, How sweet it was, Scoundrel days, East of the sun, Minor earth major sky, You'll never get over me, Keeper of the flame, Cosy prisons, Lamb to the slaughter, Hunting high and low, Take on me, Crying in the rain, Summer moved on, Living daylights plus encores Analogue, The sun Always shines on TV and Dark is the night) and the large screens adjacent to the stage display some arty film clips in addition to shots from the stage. After the stadium concert, a-ha do a private concert in Trondheim. A clip of the Lerkendal Trondheim concert and an interview with a-ha is shown on the NRK late evening (23:00) news show "Kveldsnytt" (NRK1). The Norwegian TV channel "NRK1" re-broadcast the Frognerparken from August 2005. 26	Magne, Pål, backing band and crew join the many a-ha fans on the internal flight between Trondheim and Ålesund. Morten travels separately. In Ålesund, Paul relaxes, Morten does some sightseeing and Magne does some deep sea fishing at the Jørumfjorden before the concert. Color Line Stadium, Ålesund, Norway. The second season of the Norwegian children TV series "Johnny & Johanna", starring Morten's son Jonathan, starts on NRK1. The series includes 12 episodes. 28 A short clip about a fan meeting a-ha in Trondheim is shown on the German TV show "Blitz" (SAT1). This is repeated on 29 August. 30 a-ha are guests on the radio channel "Radio Eins" in Berlin, they do an acoustic version of "The Sun Always Shines On TV" and are interviewed. The German TV show "zipp" (local channel RBB) broadcasts a report about a-ha. It includes video clips such as "Take On Me", "Cosy Prisons" and some older clips of the arrival at Live 8, the video shoot of "Celice", a live clip of "Move To Memphis" from the Analogue tour and "Hunting High And Low" from Live 8. a-ha are also guests in the studio and are interviewed. In the evening, a-ha go out for dinner at a famous "Schnitzel" restaurant "Restaurant Borchardt" in Berlin. 31	IFA-Sommergarten (Open Air), Messe, Berlin, Germany. The Support band for this show is Norwegian band "D'Sound". 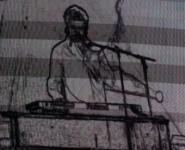 The setlist is similar to the Norwegian shows, but "Move To Memphis" replaces "Celice". After the show, a medley of a-ha songs (including Cry Wolf, The Sun Always Shines On TV, The Living Daylights and Take On Me (by A1)) is broadcast over the speakers, to which fireworks are released. The Norwegian TV channel "NRK1" broadcasts clips of "I've Been Losing You" live from Berlin. Telekom online do a short report about the IFA concert in Berlin with a clip of "I've Been Losing You". 1 The night-time news show "Nachtmagazin" on the local German TV channel "RBB" broadcasts live clips of a-ha performing "Stay On These Roads" and "I've Been Losing You" at the IFA-Sommergarten, a short interview with the band and some of the fireworks. 6 Morten attends a government dinner with Norwegian states minster Jens Stoltenberg, East Timor's Prime Minister José Ramos-Horta and other ministers and diplomats in Oslo. 25 Morten is "surprise guest" at the course "Musikerutdanningen" (Education for Musicians) at the NISS (Nordisk Institutt for Scene og Studio - Nordic Institute for Stage and Studio) in Grønland, Oslo. He is interviewed by subject teacher Audun Molde and answers the students' questions for over an hour. Previous surprise guessts include Bertine Zetlitz, Jahn Teigen, Briskeby, D'Sound, Silje Nergaard, Odd Norstoga and Lars Lillo-Stenberg. An article in a local Russian newspaper in Ufa advises readers to buy tickets for the a-ha concerts sooner, rather than later, as the price will go up to cover additional costs such as private foreign jets for the band. 28 A remastered edition of the movie "Ti Kniver I Hjertet" with remixed soundtrack is re-released on DVD in Norway. 17 For a few hours a-ha's cover of John Lennon's "#9 dream" is available (by mistake?) on Savoy's MySpace under the "Raise your sleepy head" link. 19-22 Magne is one of the artists to contribute to the Norwegian "TV-aksjonen 2006", initiated by the TV channel "NRK1". Two of Magne's prints are up for auction and raise 5,000 and 5,700 NOK respectively. Both prints are in an exhibition in containers on the Rådhusplassen in Oslo while the auction is taking place. 22 In Dagbladet, Magne describes his favourite piece of art as the wood cut "The Kiss" by Edvard Munch. 26 Sport Hall, Kiev, Ukraine. The setlist is the same as in Berlin. a-ha give a press conference shortly before going on stage. 28 Ice Sport Palace, Dnepropetrovsk, Ukraine. 29 a-ha interrupt their Eastern-European tour and fly to the UK. The journey from Dnepropetrovsk to London does not go smoothly and they get caught in some bad weather conditions. 30 After a 25 hour journey, a-ha arrive in London at around 5am. Later, they go to The Grosvenor House Hotel where the Q awards are taking place. They sit at a table with Manic Street Preachers and have U2, The Who and Noel Gallagher on tables nearby. a-ha are presented with the Q Inspiration award by Girls Aloud. Previous winners of this award include Björk, The Pet shop Boys, The Cure, Echo and the Bunnymen, U2 and others. After the awards, they have some photos taken and do a short interview with Q magazine. In the afternoon, Morten flies to Russia, while Paul and Magne remain in London for the night to attend the Q aftershow party, as well at as a private party at The Met Bar, where Magne dances a "Zorba the Greek" arm in arm with Paul Weller and Noel Gallagher (who tells Magne how much he loves "Train of thought"). Later, Paul and Magne end up at the Groucho Club until very late. 31 In the afternoon, Paul and Magne fly to Russia to continue with the tour. Morten is pictured on the front of The Guardian insert? 1 Ice Sport Hall, Samara, Russia. The Norwegian TV show "Absolutt Underholdning" reports about a-ha at the Q-awards and shows the short interview Morten did on the way in. 2 Ice Sport Hall, Kazan, Russia. 3 a-ha do a 40 minute private gig at "Arma" to celebrate the 35th birthday of the leading manager of the company "Rosgostraxa", Danil Khachaturov. Around 80 guests are present. 4 Sport Hall, Yekaterinburg, Russia. Several Norwegian newspapers report that the Norwegian politician, Aamir Sheikh, plans to have a peace conference with Isrealic state minister Ehud Olmert and Pakistan president Pervez Musharraf on 7 September next year. In connection with this, he wants to organise a big concert at Valle Hovin in Oslo. a-ha are amongst the artists he would like to perform. 5 Sport Hall, Ufa, Russia. In the morning, a-ha arrive in Ufa, Russia by private plane. The concert was initially scheduled for 3 November, but the date is changed due to an important ice-hockey match. After the concert the band, excluding Morten, have dinner at the restaurant "Tolstojevskij", followed by a party at club "Pravda" (one of the sponsors of the show, together with Radio Maxium). 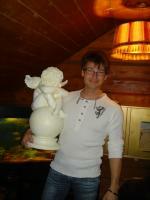 Morten recieves, as a gift, a statue of a white angel which is the symbol of the club. 7 Sport Hall, Nizhny Novgorod, Russia. 8 Sport Palace, Rostov-On-Don, Russia. A double DVD of Vallhall and Headlines And Deadlines is released in Norway. 10 Ice Sport Hall, St Petersburg, Russia. 11 Olimpiisky Sport Complex, Moscow, Russia. 18 UK's "Channel 4" broadcasts a show called "James Bond's Greatest Hits" which features a brief interview with Paul and Magne who talk about working with John Barry on "The Living Daylights". 20 Norwegian band Furia release their new radio single, "Goodbye sweet sorrow" in Norway. The track features Paul on vocals. Furis'a album "Piece of Paradise", featuring the song, is also released. The Norwegian district news "Distriktnyheter Østlandet" (NRK1) shows a short clip of Morten rehearsing with Junoon. 24 Furia's album featuring Paul is released in Germany. 27 The double-DVD of Vallhall and Headlines And Deadlines is released in the UK. 30 a-ha are amongst the topics in the TV series "Tilbake til 80-tallet: 1984" on Norwegian NRK1; they show their first TV appearance on Lørdagssirkus back in 1984. 16 The Norwegian comedy show "Melonas" shows a sketch, in which the three main characters (all female) dress up as Morten, Magne and Paul and want to form a new band: m-hm.